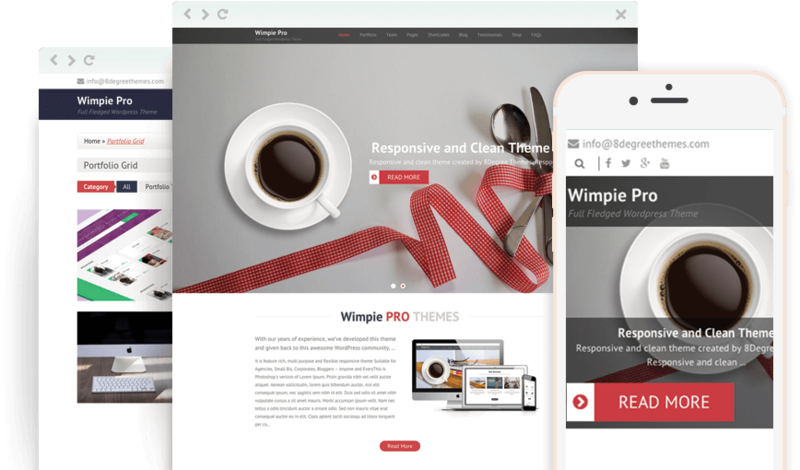 Wimpie Pro is a full fledged premium WordPress business theme with clean and sleek layout. 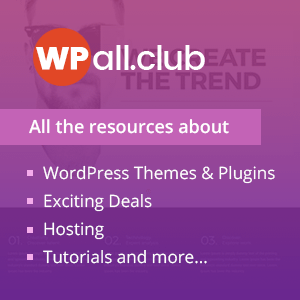 Inbuilt with live customizer, this theme comes with highly flexible features and functionalities that can be used for different websites like startup, agency, corporate, blogs, small/large biz and so on. It includes homepage sections like home slider to display your main contents, about us(company) section, attractive section to display the services offered by the company, feature section, engaging portfolio section to display your works, CTA with video support, team section, stat counter, client section, pricing plan section, and many other much needed sections. Besides, it features multiple page templates, custom widgets, background configuration options for all homepage sections, breadcrumb options, typography options etc. You have full freedom to design your WP website as per your wish. Hey Buddy!, I found this information for you: "Wimpie Pro – Premium Responsive WordPress Business Theme". Here is the website link: https://8degreethemes.com/wordpress-themes/wimpie-pro/. Thank you.